How Much Does it Cost to Paint or Stain a Fence in 2019? 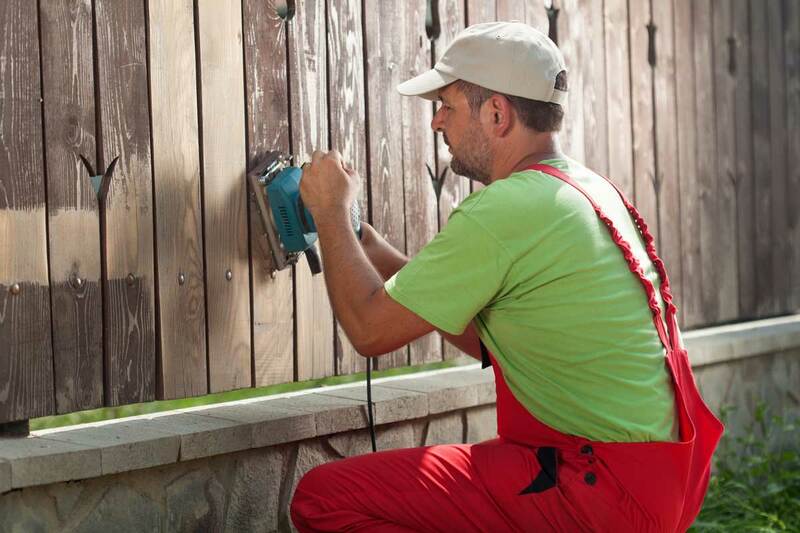 Giving your fence a new coat of paint or stain is imperative to the upkeep of your property. It not only increases curb appeal, but it can also protect your fence from weathering. Fence painting seems like the perfect beginner DIY project, but a new homeowner might wonder “How much does it cost to paint or stain a fence?” Most homeowners pay $5 – $10 per linear foot to paint a 6’ privacy fence and $2 – $5 per foot to paint a 4’ picket fence. There is a wide variance in price due to a few key factors. The type of fence you have can really affect how much it will cost to paint or stain. If you’re putting up a new fence or if you’ve purchased a house that already had a fence around the property, it’s important to take into account the type of fence. Different types of fences serve different purposes from privacy to dampening noise. Wood is the most commonly used material for fencing, which is good because it takes staining and painting well. Picket fencing has more curb appeal than privacy fences; however, both options can add real value and appeal to your home. Let’s talk about some of the things that go into the process of repainting a fence. The biggest deciding factor in the cost of repainting or staining your fence is the height and style of the fence. A six foot high privacy fence is going to take a lot more paint than a four foot picket fence. Either fence is going to require at least three coats of paint: the primer to protect the quality of the wood, the base coat, and then the solid second coat. Before you get into the process of painting, you need to make sure your fence clean. To make sure your fence is clear of debris, pressure washing or scrubbing the wood with a bristle brush is ideal, or you can use a power washer. If your fence has old rotting boards, they will need to be repaired or replaced before you can start painting. Nail holes should be filled and sanded and any limbs or grass should be trimmed around your fence before you start the painting process. Use our fence calculator to estimate materials and costs for new sections of fence need to be added or replaced. This might sound silly, but color choice is a big deal when it comes to painting something as visible as a fence. Ideally, the color or stain you choose should enhance the natural qualities of a house. If your house is a classic cottage style home with a picket fence, then a crisp white paint would be an excellent choice while a dark stain may be better for a rustic style home. Other things to take into consideration when selecting a color are the general look of the houses in the neighborhood and potential regulations or policies regarding fencing by the neighborhood association. The color you choose will affect how many coats of paint or stain are needed for even coverage. If the fence is currently dark in color then a dark stain may require 1 or 2 coats, while a white paint may require 3 coats for a clean look. Deciding whether to use paint rollers or a spray device is another big factor in the cost of fence painting. Using paint rollers adds time and hard physical labor to the project, but it can be cheaper. 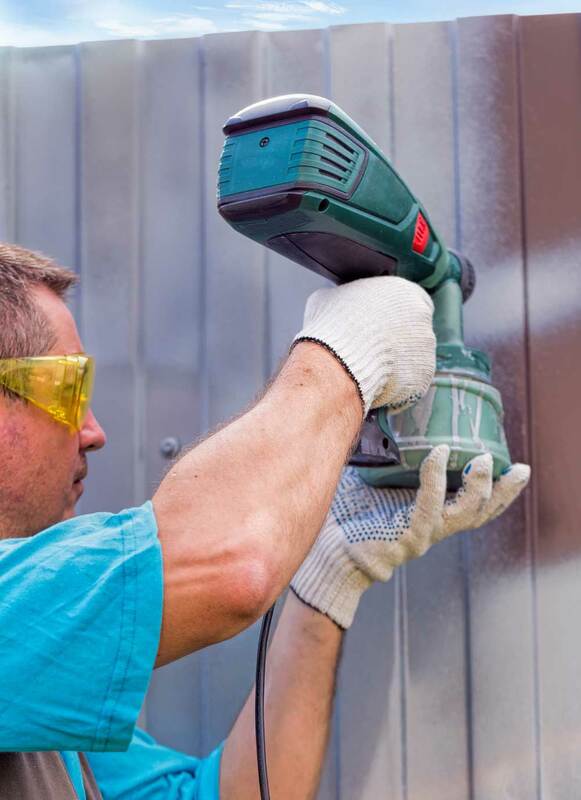 While using a spray painting device is easier on the body and gets the job done quicker, you will end up using about 25% more paint and that can add up quickly. If you’re new to DIY, you may be thinking that once you’ve made all of the decisions, the easy part is finally starting to paint. However, that’s not true. Regardless of what method you chose, the process of applying paint to a surface is a difficult job and requires a careful attention to detail, especially if you have a complex fence. Even if you plan to paint or stain your fence yourself, you should still get an estimate of the cost for professionals to do the job for you. Should you be unable to complete the project yourself, already having a fair price in mind will make the selection process easier. When preparing to get an estimate of labor costs, it is imperative to know the square footage of the project. These are some of the things you need to think about when deciding to repaint or stain your fence. 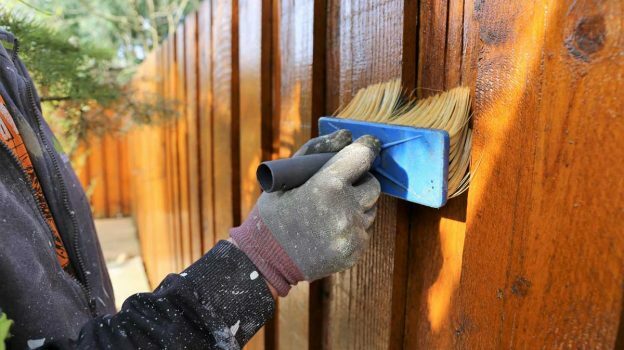 Many DIY enthusiasts don’t get that a whole lot goes into the process of painting an existing fence from the cleaning to the type of painting you want to do. You also have to consider the complexity of the fence design. All these things can contribute to how much it costs to paint your fence, but you also need to take into consideration if it would be easier in the long run to hire a professional to do the job for you. Regardless of your decision, having the information a DIY project calculator can give you is invaluable. Are You Planning a Fence Painting Project? Get hassle-free estimates from local exterior painting professionals and find out how much your project will cost.